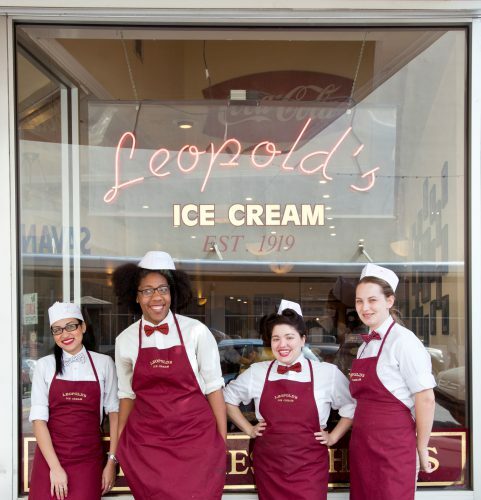 Leopold’s Ice Cream now has two parlors and a one-of-a-kind kiosk to serve you! Our flagship parlor is located in the heart of downtown, just steps from the River and next door to the large vertical SCAD sign on East Broughton near Abercorn Street. We have two exciting new locations in the Savannah/Hilton Head International Airport. 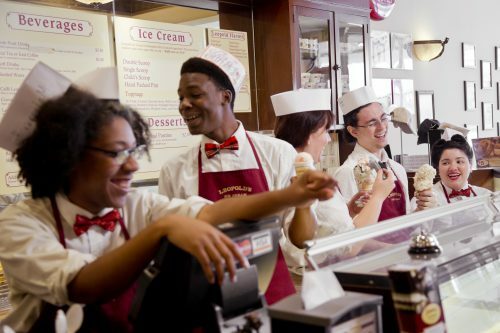 At the kiosk, we offer a selection of our classic and seasonal flavors. At the Shop, we have a semi-full soda fountain with old-fashioned soda fountain treats like milkshakes, malts, sundaes and banana splits! There’s plenty of parking at the airport and we always validate for Leopold’s customers! 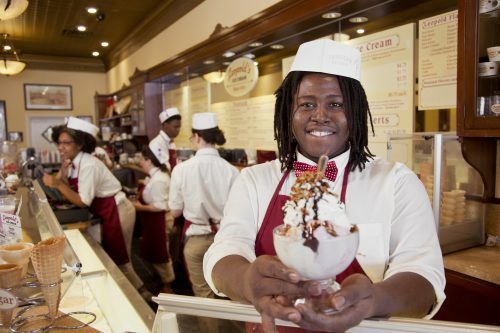 In addition, we partner with a very select group of Savannah’s finest restaurants and shops to serve our super-premium ice cream, both classic and custom flavors. We recently expanded our reach with a partnership in Florida. For a list of our partners, please click here. 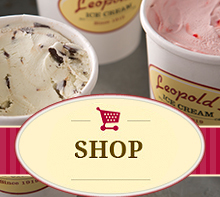 Leopold’s VeriBest™ ice cream is absolutely one-of-a-kind. All flavors are made in historic, downtown Savannah, one batch at a time, using top-secret family recipes handed down from the founding Leopold brothers. Try one of our historic flavors – like Johnny Mercer’s favorite, Tutti Frutti – made exactly as they were in 1919, or one of our more recent additions like Savannah Socialite. Wondering why our Pistachio isn’t green? No artificial dyes, of course! We use only the best all-natural ingredients, hand-picked for quality. Come visit us and try it for yourself.